•	Relative to its fees, an extraordinary, exceptional school. The Head, parents, teachers, Governors – and students should be very proud. 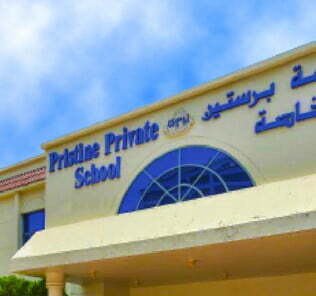 There are a number of extremely rare schools in Dubai that operate at levels significantly above their fee structure. 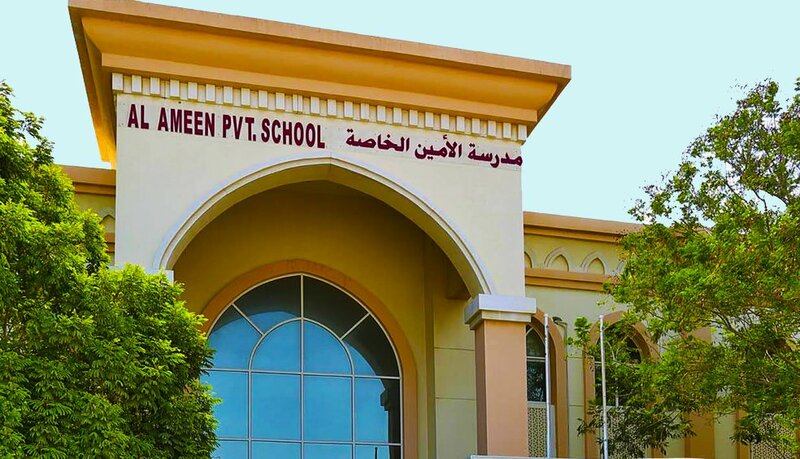 Al Ameen, which delivers its education at some of the lowest fees anywhere in the Emirates, re-writes the rulebook that says schools cannot deliver a good standard of education to a budget. 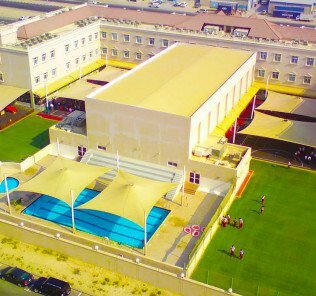 With fees that run between 5,037 AED at FS phases, through to 5,709 AED in Year 11, in fact Al Ameen goes beyond even KHDA “Good” school provision in its attainment both at Post-16 (I)GCSE and the degree to which the school is integrated and engaged with its community. In these areas the school attains the award of “Outstanding” across the board, and these are areas too in which many schools with fees at ten times the level of Al Ameen struggle. Al Ameen is, in any weighting of student attainment to fees, an extraordinary school. Many parents on an ideal wish list for a school would choose a small school, with high academic attainment, a nurturing environment with happy children inspired to learn and a school with a moral culture to balance academic provision with a whole child focus on the bigger picture. The “end game” for most parents is a school that helps their children graduate to the best of their ability as rounded individuals prepared for the challenges off the world beyond school. In each of these areas Al Ameen delivers. There are compromises in the breadth of subject choice, the quality and degree of facility provision and the bells and whistles that Tier 1 schooling, at a price, buys. For many parents, however, bells and whistles do not make a school. Al Ameen’s story has not always been such a positive one. 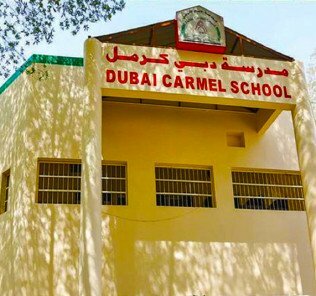 This is a school, in 2008-09, that was placed in special measures following its grading as “Unsatisfactory” by Dubai inspectors. In the space of just one year, between 2009 and 2010, Al Ameen jumped from “Acceptable” to “Good”, a grading it has now held consistently for five years. The school’s Head, Sadia Wajid has been instrumental in driving the school forward. Educated to Masters level at one of the “Ivy League” Indian Universities, Aligarh Muslim University (AMU), Mrs Wajid is a Biochemist by training. Mrs Wajid has been Principal of Al Ameen since 2013, following a two-year Headship of Dubai’s City School International. Her Headship of Al Ameen represents something of a “coming home” as she was Head of Science at the school for three years between 2008 and 2011, a period in which she is widely seen as the instrumental figure in Al Ameen’s achieving its remarkable transformation to a KHDA “Good” school. Ms Wajid is well regarded in the school and by parents – and known for her considerable intellect, passion for education and conviction that children at her school can achieve at the highest standards regardless of their background. Her professional career as a Head followed more than a decade’s teaching experience across Dubai schools. The KHDA directly praise her “aspirational” leadership, and “her capacity, commitment and drive to further improve the school”, as critical to the school’s ongoing achievement. KHDA inspectors have consistently rated Al Ameen for its outstanding provision in Science, English and Mathematics at secondary level. In fact, across English Science and Mathematics teaching at the school from FS through to (I)GCSE, Al Ameen scores the KHDAs highest “Outstanding” award in 8 out of the 18 different categories of inspection with the remaining scoring all at its second highest “Good rating. In three other areas the school rates KHDA “Outstanding”: its community engagement and links with parents; its care of children and Health and safety; and, most telling, its quality of child assessment. The latter is an area in which even Tier 1s struggle – having in place systems to properly measure, engage with and respond to individual child needs is fundamental to ensuring each and every child succeeds – and a highly complex one to get right. These are extraordinarily high scores for a school charging less than 6,000 AED by Year 11 – and unmatched by any other school in the Emirates. The trade off? Subject choice is limited. The best schools offer up to 28 individual subject choices at (I)GCSE. Al Ameen certainly does not provide the range of subjects that allow it to focus in on individual child gifts and talents. You will not find options in Psychology or Philosophy, or those across the broad range of languages from Mandarin to French, or technology options, for example, at this level of fees. Currently subject choice is limited to just 13 subjects. Interestingly Biology, Chemistry and Physics are taught as individual subjects rather than melded into a Joint Science. Accounting, Economics and Business Studies are also provided, key subjects for the Indian children who make up its role, as well as core subject provision in English, Mathematics, ICT and Physical Education. Subject choice, however, tells half the story. The curriculum from EYFS is cleverly modified and cross-specialised. Robotics, for example is (impressively) integrated within ICT from Year 2. Humanities too, amalgamates Geography and History, drawing on developments across the UK, UAE and India – each contextualized for students to relate history to meaningful parts of their own lives. Another impressive innovation is the provision of parallel work placements in Years 10 and 11 in which students gain direct industry experience. Other compromises at this level of fees are inevitable. Basic facilities include a Quran Prayer Room; AV equipped digital classrooms; ICT Suite; Library with a balance of Arabic and English books (including an extensive Roald Dahl collection and the complete Rick Riordan’s Percy Jackson & the Olympians series); combined chemistry, physics and biology lab; an Art and Design studio with potter’s wheel, 3D design, and textiles technologies; and a multi-purpose hall with small stage and integrated AV. Exceptionally complimentary parental feedback reflecting the school’s commitment to meeting its educational promise. Rare KHDA criticism reflected the school’s need to further invest in technology provision for students. Our view? Al Ameen achieves at levels that few, if any, other schools match at this level of fees. That it does so when almost the entire intake comes to the school with English as an Additional Language [EAL] and with a wholly inclusive approach that welcomes children of all abilities makes that even more remarkable. Whether there are the resources to take a Good school already performing with so many outstanding features all the way, given the level of fees, resources and facility provision, is probably too ambitious a goal. This said, given the extraordinary achievements of this school, you would not want to bet against it over time. There are certainly very few schools as deserving.